Michael Aengenvoort had a dream to one day live in Cape Town, after a first visit back in 1992. Captivated by the beauty of the mountains, the vineyards and the proximity of the peninsula’s two oceans, Michael also saw an inviting lifestyle and burgeoning business opportunities. 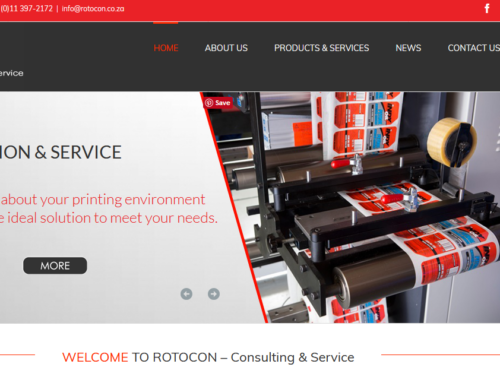 Here’s the story» of how Michael took a giant leap of faith and established his own business … today’s ROTOCON – and the celebration of a decade in business! 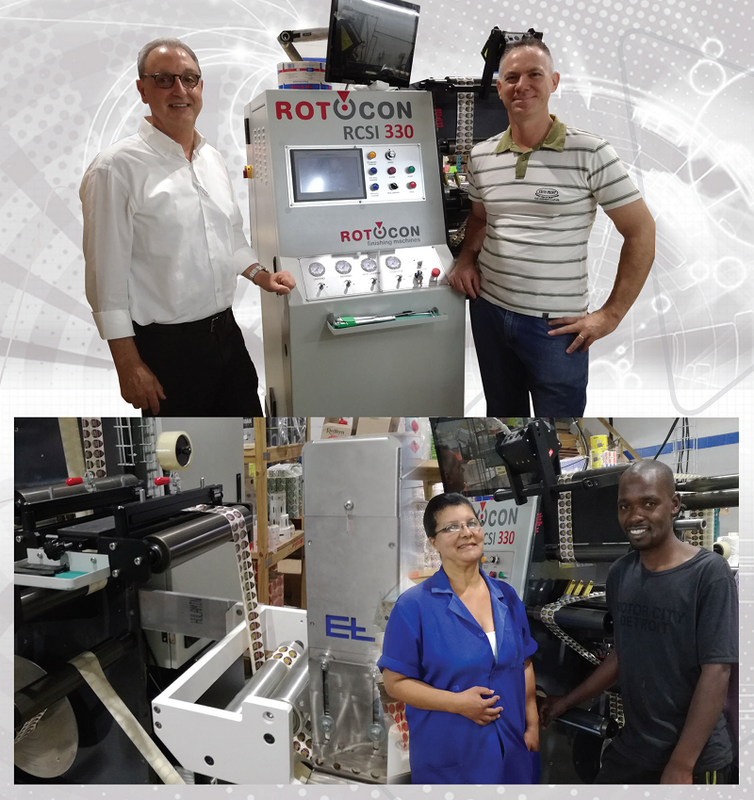 This family-owned business is the latest ROTOCON customer to invest in an Ecoline RSCI 350 slitter-rewinder, fitted with an Erhardt+Leimer (E+L) SmartScan inspection system. 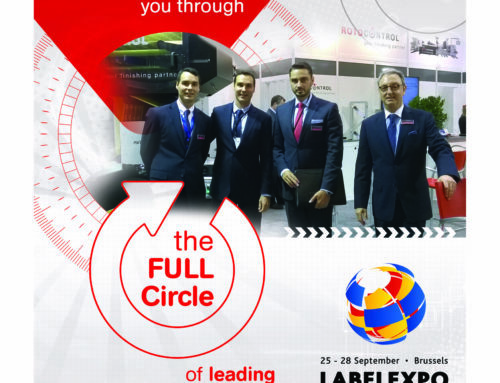 Exco Print has reported considerable improved productivity, drastically cutting rewinding time and doubling the speed of output. 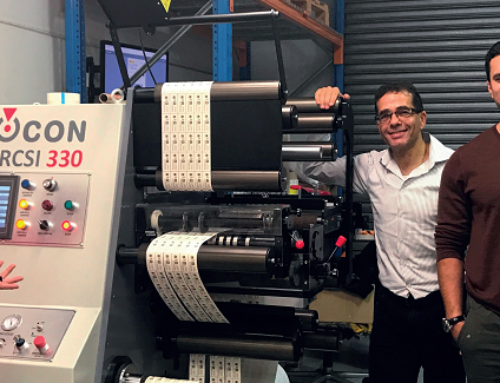 After running their 1st Screen digital label press 24 hours/day, five days/week resulting in throughputs of over a million metres of labels/month (placing FIL in second place globally among Screen’s largest ink users), the time clearly came to invest in a 2nd press. But that’s not all…FIL also added a Rotocon Ecoline RDF-330 to its digital capability repertoire. 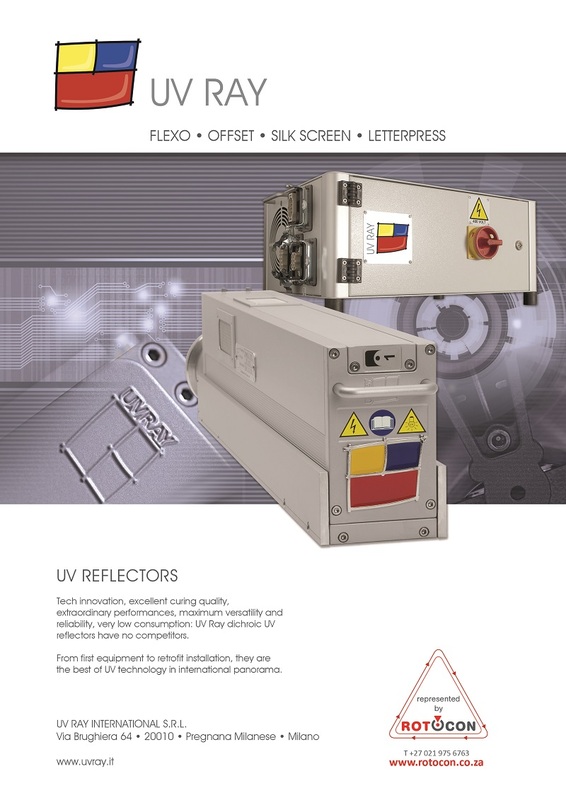 From first equipment to retrofit installation, UV Ray’s dichroic UV reflectors are the best of UV technology in international panorama. 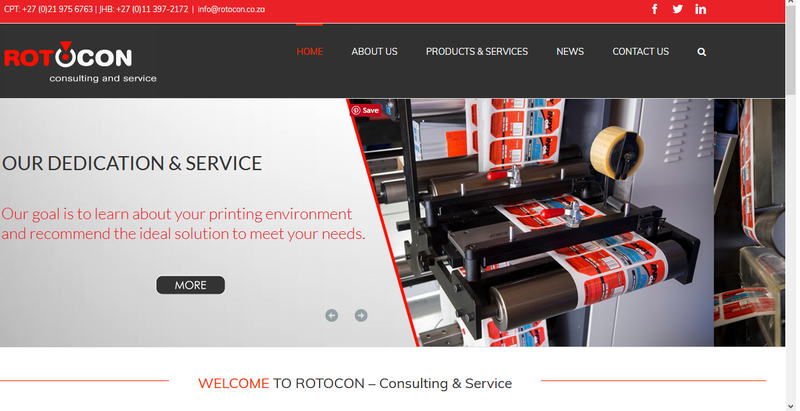 This UV ink curing system is now available in South Africa through ROTOCON! 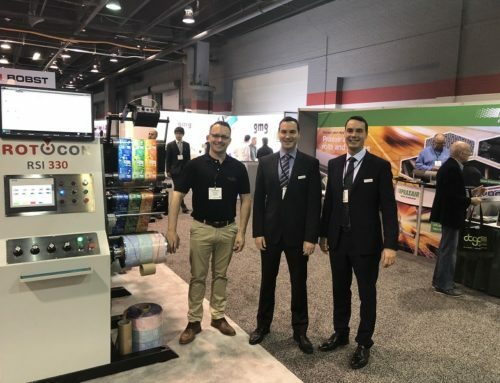 Operator-friendliness means an easy-to-use press that enables rapid process changes and press feedback – so operators can take action quickly if something goes wrong. 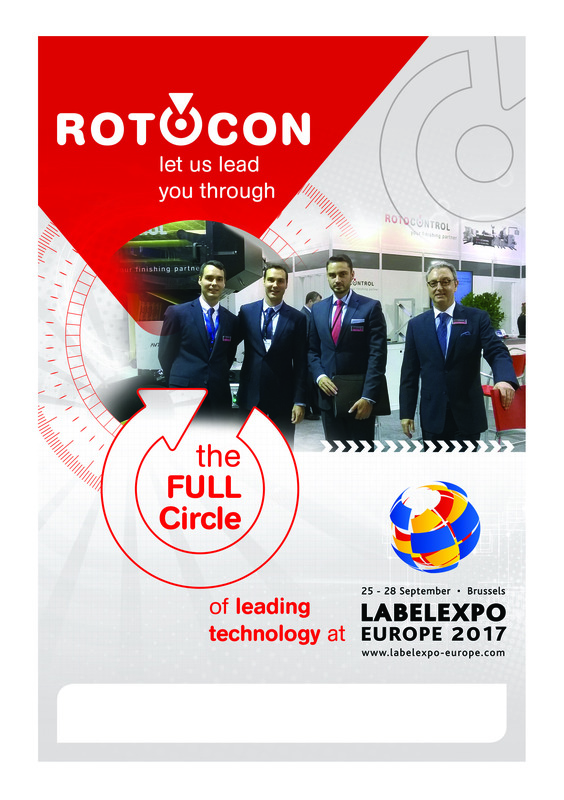 South African visitors to last year’s Labelexpo in Brussels could enter a draw for the chance to win three prizes, by simply visiting each of ROTOCON’s ten principals exhibiting at the show. We’re pleased to announce the winners! 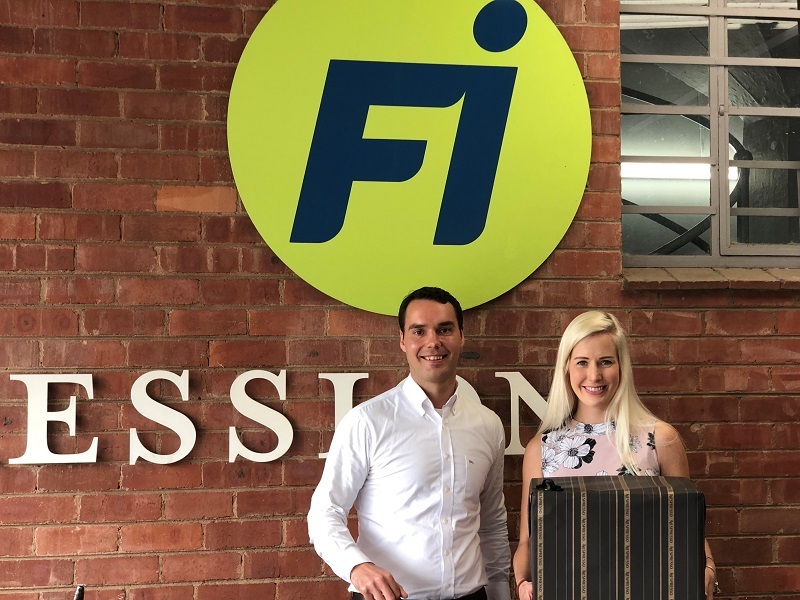 First prize, a Nespresso coffee-maker, went to Justine Bufe (First Impression Labels); second prize, a mini iPad, went to Theo Raubenheimer (Label Leaders); and third prize – a weekend stay at the Cape Village Lodge – was won by Ahmed Monia of JMB Labels. Congratulations go to each of these three winners!